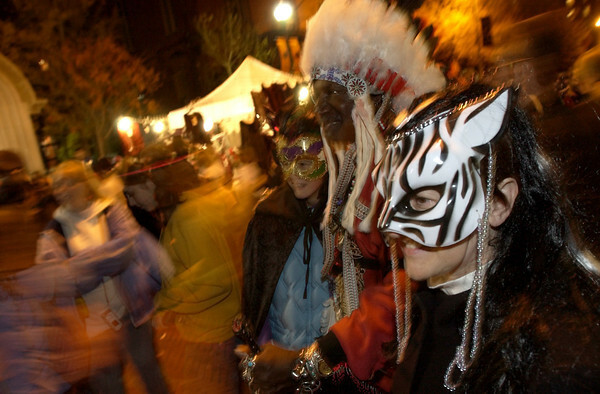 Salem: Grazyna Cynkowska, right,in cat mask, drove in from Brookline to join the thousands who crowded the Essex Street Pedestrian Mall for the Halloween festivities. (Photo by Michael Ivins/Salem News). Friday, October 31, 2003 (NOTE: THIS IS A DIGITAL CAMERA IMAGE).